This powerful 8.0 amp 1/2 in. 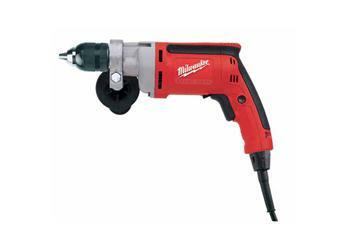 drill has the construction and performance to eliminate any other 1/2 in. drill in its category. The value added convenience of the exclusive all-metal ratcheting keyless chuck with carbide jaws and the QUIK-LOK® cord (48-76-4008) for instant replacement and easy storage are unmatched in the industry.